Look Who’s Coming Soon To Milford! Get ready for burgers and shakes delivered on roller skates! 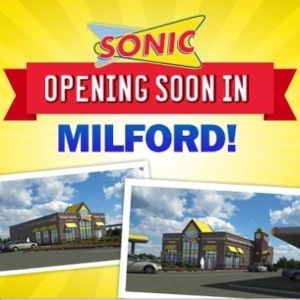 Sonic Drive In is coming soon to Milford!! Sonic will be taking over the existing Arby’s located at 1365 Boston Post Road in the Milford Crossing Shopping Center (near the Westfield Connecticut Post Mall). No opening date has been set yet, but you can read more on Sonic’s FaceBook page. Food for Thought: Give Me S’more Summertime!